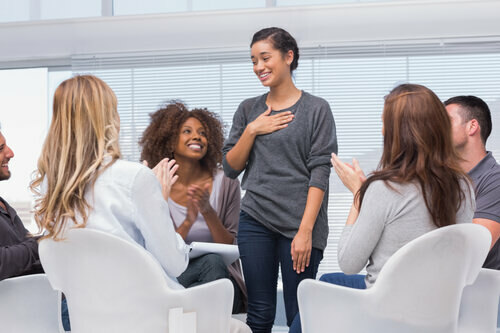 Discovery Institute for Addictive Disorders, Inc. has a comprehensive Outpatient Program which includes both the Intensive Outpatient Program (I.O.P.) and the Standard/Traditional Outpatient Program. These intensive outpatient services provide nine hours of services per week while the Traditional Outpatient Program typically meets for one to two hours per week. Discovery Institute encourages involvement in Twelve-Step Fellowship meetings such as Alcoholics Anonymous and Narcotics Anonymous. Psychoeducational lectures about the disease of addiction are provided with a strong emphasis on relapse prevention. All services are tailored to meet the individual needs of each client. Clients range from those mandated to treatment through Drug Court and probation to individuals who enter the outpatient program voluntarily. Discovery accepts insured clients and state funding is available for those who qualify. Discovery Institute also provides services for individuals who are mandated to treatment due to DUI. Our clinicians work closely with the Intoxicated Drivers Resource Center (IDRC). Discovery’s outpatient staff lead groups as well as individual and family sessions. All clients are closely monitored and are randomly drug screened on a weekly basis via urinalysis. Aftercare arrangements are provided in an effort to maintain continuity of treatment. Outpatient participants are held accountable for their actions while in treatment to ensure a smooth transition back into the community. Discovery’s outpatient staff will aid clients who are in need of housing and all clients receive appropriate referrals for physicians and mental health practitioners. Individuals in need of housing are provided with lists of vacancies in halfway houses as well as oxford houses. If you have any questions or concerns about the Discovery Institute’s outpatient services or DUI treatment services, please reach out to us. Call us at 1-800-714-2175 to talk to one of our admissions counselors.